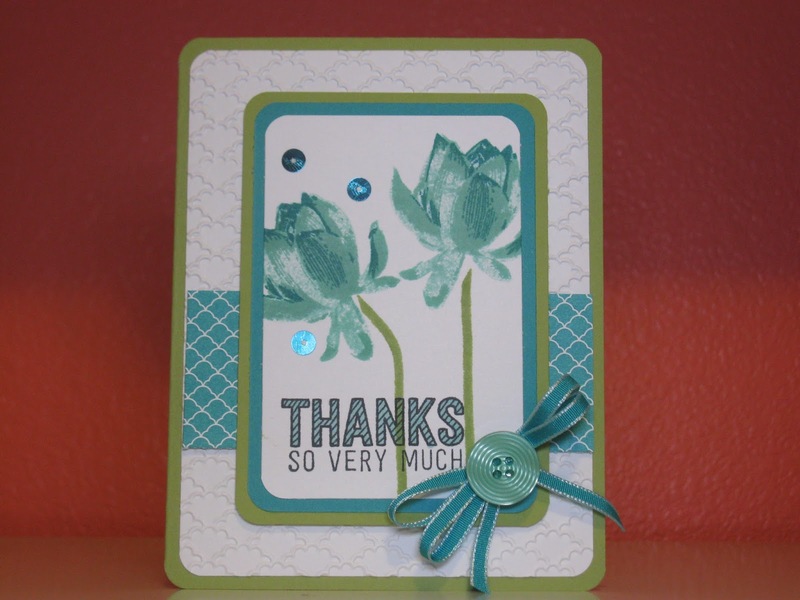 A week ago I posted about a new Stampin' Up! 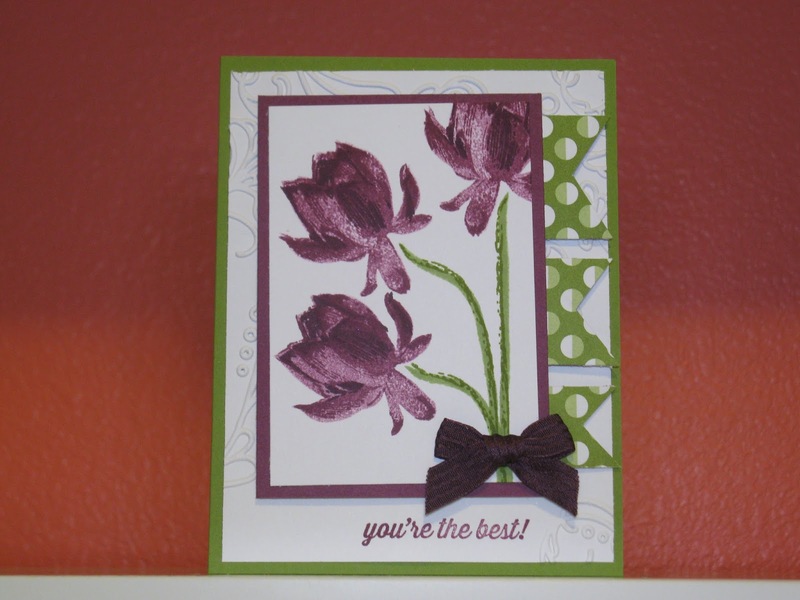 set called Lotus Blossom that you can earn free during our annual Stampin' Up! event, Sale-A-Bration. I showed you a bunch of different color combinations that I played with to make some really gorgeous flowers. Today I want to show you two cards I made using a couple of those color combos. I've listed the supplies I used below. Thanks for taking a peek today. Have a fabulous weekend!